Piano Mastery, Trinidadian Trumpet, Singing Apes: New Jazz : A Blog Supreme This summer has seen plenty of worthwhile jazz, including a pianist who's been around since the '50s, a Caribbean jazzman, a band of deliberate melody, and a cover from The Jungle Book. Sample recordings from Harold Mabern, Etienne Charles, the band Black Host and Lauren Desberg. 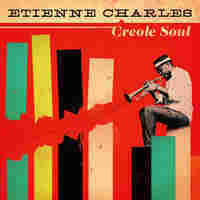 Trumpeter Etienne Charles' new album is called Creole Soul. It's been too long since we simply sat up and pointed out a few of the many new releases worth a set of ears. Luckily, the staff on weekends at All Things Considered thought the same. They invited me to sit down with host Jacki Lyden and play a few cuts for them. Here's music from an elder statesman of piano, a trumpeter who understands creole music personally, a drummer who writes tunes with a payoff, and a singer in her early 20s with maturity and kick. The pianist Harold Mabern is one of an increasingly rare breed: musicians who were around in the late 1950s and early '60s. He was the pianist in the Art Farmer/Benny Golson JazzSet and spent a hot second with Miles Davis. It's made him a master player, a guy who can attack with dense chords or flowing lines alike. The best way to experience that mastery is to hear it live in an intimate basement room, up close — but if you can't do that, this album is a worthwhile substitute. 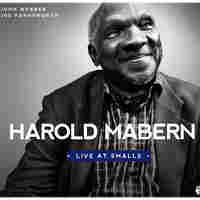 It's a live recording from the New York club Smalls — which happens to run its own in-house record label — where Mabern throws down with a trio. It's another reminder to check out the wise ones while you still can. Harold Mabern, piano; John Webber, bass; Joe Farnsworth, drums. 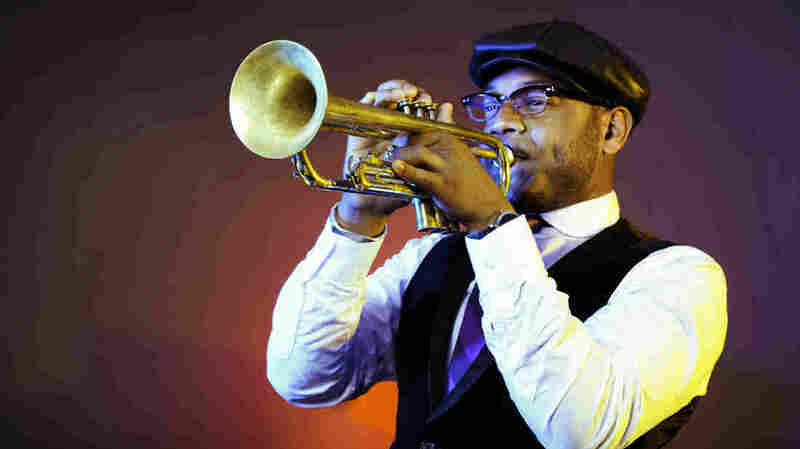 Etienne Charles is a great young trumpeter, which is worth plenty in itself. But he's also from the island of Trinidad, and you can hear it. His records filter calypso, reggae and other Afro-Caribbean musics into a modern jazz conception — the type which has heard an R&B record before. He's using his training to investigate some ideas that are meaningful to his personal history: This album, for instance, is called Creole Soul, expressing mixed ancestry through musical admixture. The song heard here is a classic from the calypso legend Mighty Sparrow, expressing love for musical heroes past. It becomes a ballad, but no less dedicated to "Memories" of predecessors. Etienne Charles, trumpet; Kris Bowers, piano; Alex Wintz, guitar; Ben Williams, bass; Obed Calvaire, drums. The last time you heard this song, it's likely the singer was an animated dancing orangutan. The great Louis Prima voiced the character King Louie for Walt Disney's The Jungle Book: "Now, I'm the king of the swingers," he intones, as a talking monkey might. This version of the song is from the young singer Lauren Desberg: She's only got one EP out, plus this single, but there's certainly something really pleasing about her take on it. Gretchen Parlato, one of Desberg's mentors, produced this session, and it sounds not unlike her own music: not much for vocal acrobatics, but full of serious musicianship from all quarters. It's got bass bounce and brushwork and buoyancy; you'd be an ape not to smile at it. Lauren Desberg, voice; Dayna Stephens, tenor saxophone; Drew ofthe Drew, trumpet/percussion; Taylor Eigstin, piano; Josh Crumbly, bass; Corey Fonville, drums. When I first saw the players on this album, I knew it was going to get a little bit abstract. But this band is decidedly not just about assaulting you with noise. 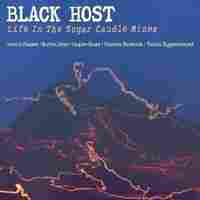 If you listen to the drummer Gerald Cleaver, who leads the band Black Host, he'd tell you he designed this record around melodies. Sometimes he stretches out the tune so it's ultra-slow, almost sludgey, and sometimes it's not quite a Cole Porter theme. But I personally like it a lot when a song is just on the edge of being a little too abstruse for me, but then there's that note or resolution which brings it back into focus. Here's a more experimental record where the internal logic opens up quite nicely. Gerald Cleaver, drums/sound design; Darius Jones, alto saxophone; Brandon Seabrook, guitar; Cooper-Moore, piano; Pascal Niggenkemper, bass. Due to time constraints, Black Host was cut from the radio segment, so consider this pick a bonus.